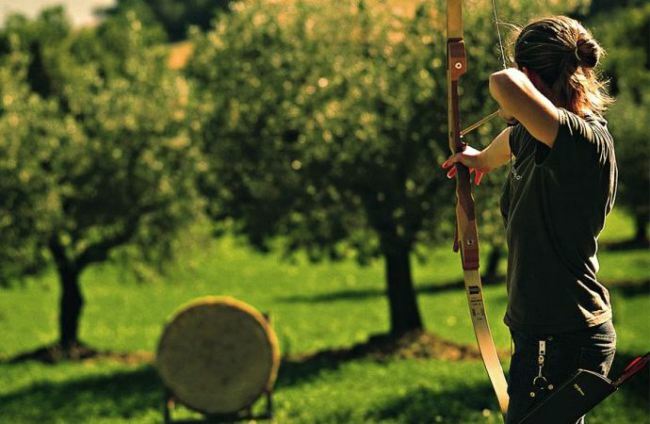 Instinctive Archery – Is it really instinctive? This is a good post. I’ve been shooting myself since around t 2012, on and off since around March that year, and trying instinctive archery since June last year. It started off badly, a real confidence. killer, but being the stubborn Scot that I am I stuck with it. In January I took part in a 3D competition and noticed then it’s starting to click. Like the post says, walking isn’t instinctive. You learn it, then you do it without thinking. I’m learning to walk in instinctive archery. Want to start an argument? Mention Instinctive Archery. There are more opinions on this than on any other subject in Archery. To some it is a mystical thing, that defies description. To others it is nothing more than a gimmick, nothing more than a learned routine. The truth is in between the two views. First lets look at the word itself Instinctive, according to the dictionary. Look at that second line. Is that not what Instinctive archery? I think people are confusing the concept of a primal instinct with the word instinct. This entry was posted on Tuesday, March 18th, 2014 at 10:16 pm	and tagged with 3D archery, archery, hobbies, sport and posted in 3D archery, archery, hobbies, sport. You can follow any responses to this entry through the RSS 2.0 feed.